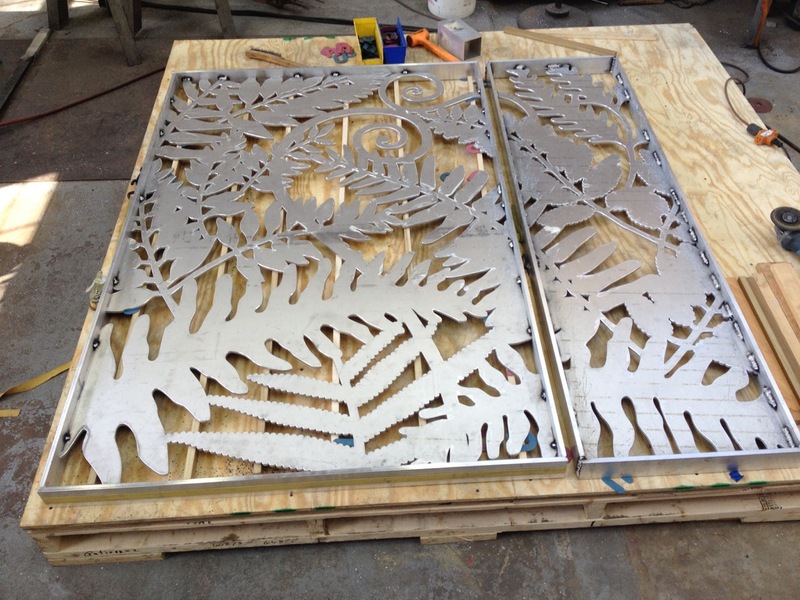 Baltimore artist, Linda De Palma turned to Peifer Waterjet when she needed some gate panels cut. 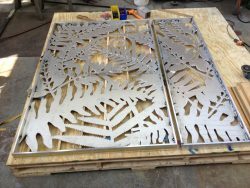 Peifer Waterjet cut De Palma’s detailed fern leaf design from .375″ thick aluminum. The overall size of the panels together is 71 inches high and 77 inches wide. The panels were welded into an aluminum frame and then powder coated a vivid green. 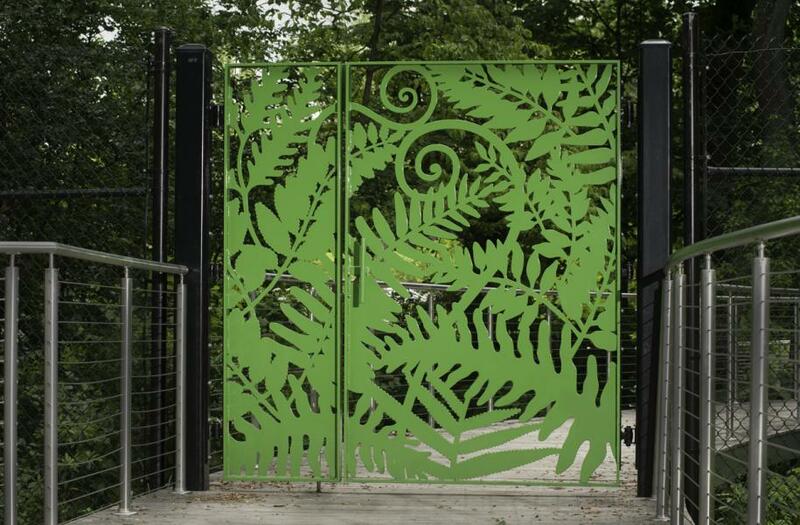 De Palma’s fern leaf gate is installed at Brookside Gardens, a botanical garden in Wheaton MD. 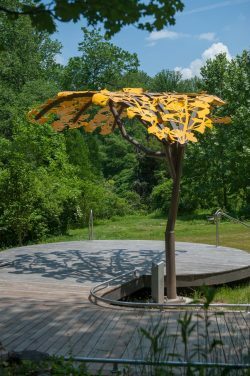 A year later, the Montgomery County Department of Parks & Recreation commissioned De Palma for two more projects. 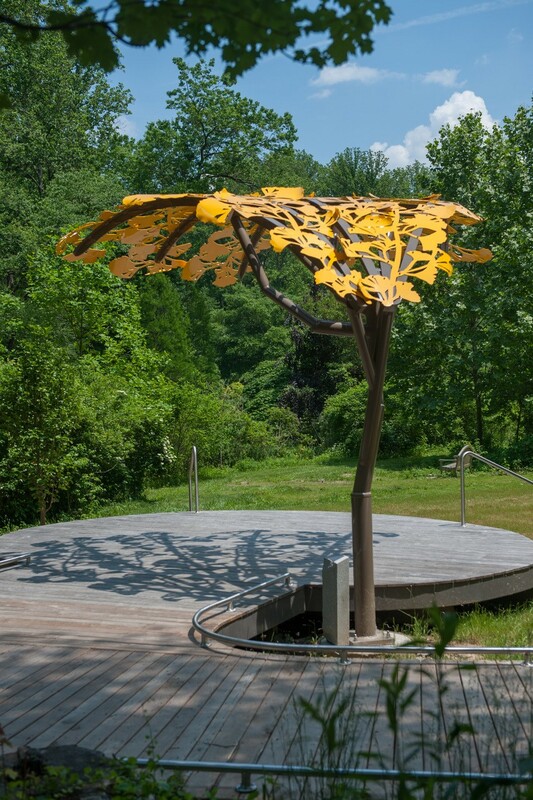 A ginkgo tree canopy and a sassafras leaf bench. 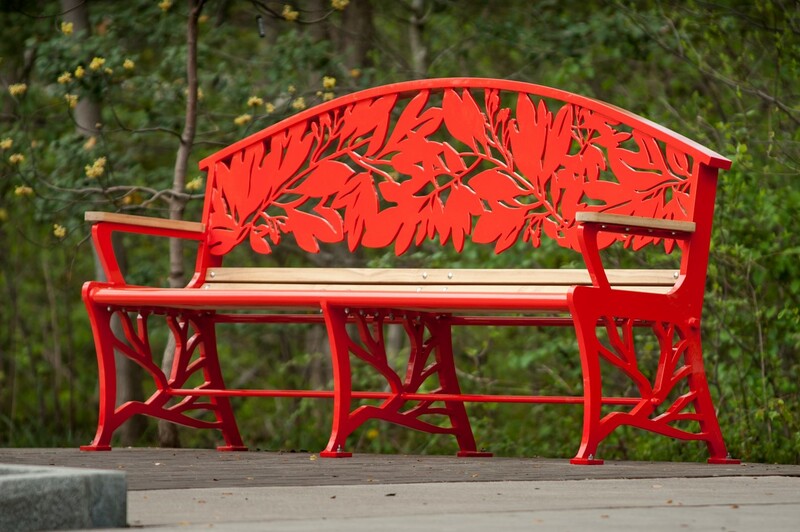 De Palma returned to Peifer Waterjet to cut the ginkgo leaf branches and bench back and legs from aluminum. 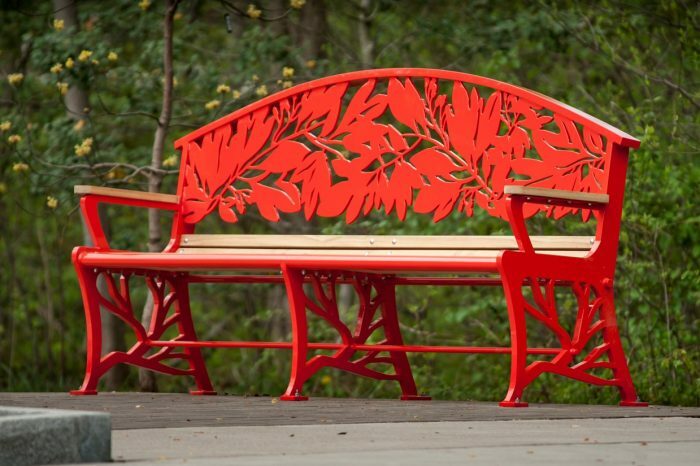 The brightly colored canopy and bench are beautiful additions to Brookside Gardens.